It’s a funny old ingredient, sea buckthorn – one of the ingredients in Salty Kiss, Magic Rock’s the rogue agent in Magic Rock’s core beer range. Sea buckthorn came to prominence in haute cuisine in the UK a few years ago on the back of its foraging credentials: it’s edible, widely available and hipster-sounding enough to make any Michelin hopeful stand up and pay attention. It comes from a plant (Hippophae rhamnoides, if you like your taxonomy) that can be found all across Europe. It particularly thrives in sand dunes (hence the name) – you’ve probably seen one, even if you don’t know what it is. The thing is… by itself, sea buckthorn isn’t very nice. The berries don’t smell all that great. They are also incredibly sour. The tastiest dishes cooked with it during its time in the culinary spotlight tended to succeed by virtue of drowning out the berries’ actual flavour. But for a while, they were the superfood darling, even appearing in the venerable UK institution Marks & Spencer’s luxury Christmas chocolates one year. Of course, M&S then proceeded to drown the taste in caramel, but that’s by the by. Poor sea buckthorn. After a few years of concerted effort from chefs looking for a new trendy ingredient to champion, it’s gradually slipped off most menus and back into relative, coastal obscurity. Except in Huddersfield, it seems, where sea buckthorn is still very much on the cards. But where that incredible tartness is something of a hurdle for most dishes, in the right hands and recipe, it can be an absolute barnstormer. Pouring a slightly cloudy, fresh lemony-yellow, with a pure white head that fades gradually, Salty Kiss is an attractive beer. It even looks summery. If you’ve not tried a gose before, prepare to be a little thrown by your first few sips. The initial hit is dry to the extreme, to the point of being almost savoury. That impression is further helped along by some mouth-puckering sourness and a herbal, salty character that becomes readily apparent. Sounds horrible, right? Wrong. 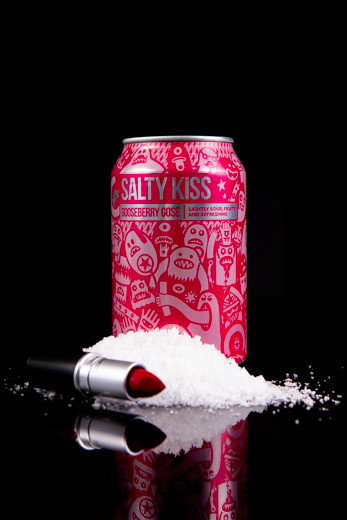 Salty Kiss is all kinds of excellent. Its triumph is that none of these flavours are too overpowering. You’re all in the same sour train carriage on the way to refreshment town – they’re just along for the ride. Between the aforementioned sea buckthorn, the astringent gooseberry, and this herbal quality, it’s hard to tell where each ingredient in Salty Kiss ends and the next one begins. There are sweet notes in there. Arguably more prevalent is the citric sharpness, the hint of yeastiness in the finish and the suggestion of a malty backbone that just about stops the beer tasting too thin. The end result is something that feels entirely its own thing. The other ingredients of sea buckthorn, gooseberries are perhaps less traditional, but Magic Rock had to innovate somewhere, right? 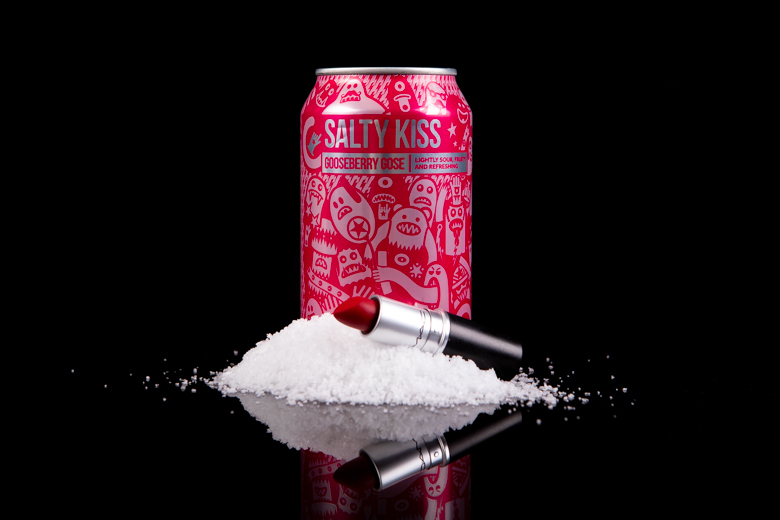 Salty Kiss: is it for you? Let’s be honest, you probably have an idea already about how you’re going to feel about this beer. If you like the sour styles; if you like the wheat beers that gose itself riffs off, there’s plenty here to enjoy. If you’re new to those styles, it’s absolutely worth a try – just don’t go in expecting the fruit/bitter one-two punch of an IPA. It’s dry, and yes, it’s salty, but persevere and more of those hidden flavours will start to shine through. By the end of the can you’ll be a convert. Salty Kiss breaks the mould, not in its ingredient list, but in the fact that this is one of the UK’s leading small breweries’ core range. Let’s give that a moment to settle in: you can now buy a sour beer made to a very old, very niche, German approach, and you can buy it from M&S. What a world we live in. I think that’s where Magic Rock deserve a huge amount of praise – alongside their other (also excellent) core beers they’ve seen fit to include something that isn’t afraid to challenge the status quo. It’s a sour, slightly salty beer: if that isn’t a complex sell to your average beer drinker then I don’t know what is. 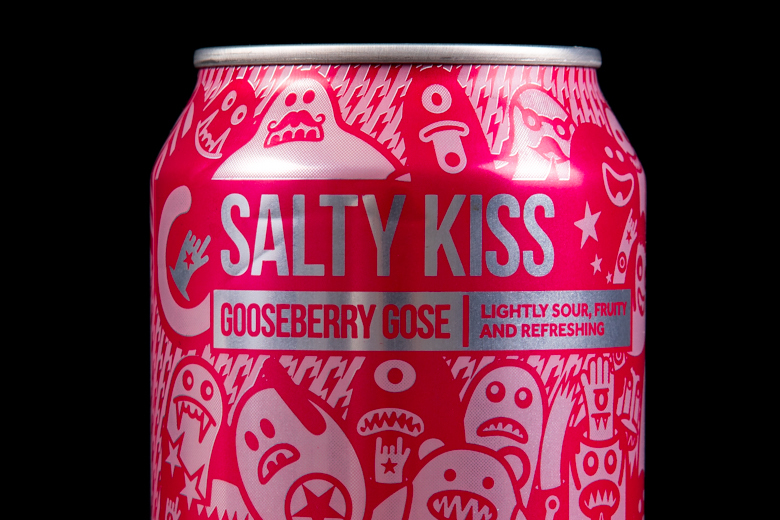 Of course, this bold approach makes no difference if the beer isn’t good, so thankfully, Salty Kiss delivers. And it’s not expensive – the beauty of this being a core beer is that it’s both readily available as well as reasonably priced. Believe it or not, it’s not the most extreme example of the style, either (both sour beer in general and gose). What it is, to my mind, is well-balanced, tasty and refreshing – and if it’s a welcoming entry point into the world of more diverse beer styles, shouldn’t that be celebrated? Grab a few cans, wait for the sun to come out, and take a sip when you have a moment to sort through the flavours that leap onto your tastebuds. Just make sure to drink it cold… and make sure you have another one ready to follow it with.